Easy to read 2.4" high contrast LCD display. 4 high precision sensors provide reliable, accurate measurements every time. Let our scale assist you in tracking your special diet requirements such as calories, carbs, sugars or fat. Measure portion sizes to know what you're really eating. Cook like a pro, and measure ingredients perfectly every time when baking. Make your own nutrition-packed breads and foods. 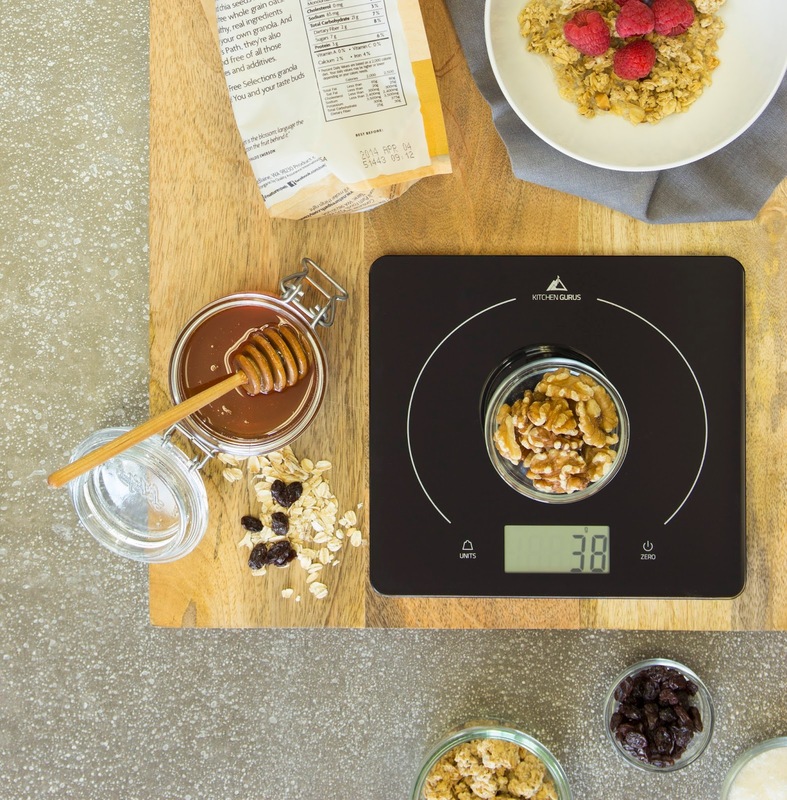 I really liked The Kitchen Gurus Glass Top Digital Food Scale. It's slim with a very nice sleek, stylish look to it. I thought it was very attractive and very modern... I didn't mind just keeping it on the kitchen counter. It was very easy to use right out of the box, super convenient and the glass top makes it very easy to clean off. I also loved the size of the display, makes it very easy to read and I loved the auto shut off! From my experience with this product , it gave very precise, accurate measurements. It's really great for precision baking and portion control. Especially for those watching their weight or watching their calories. 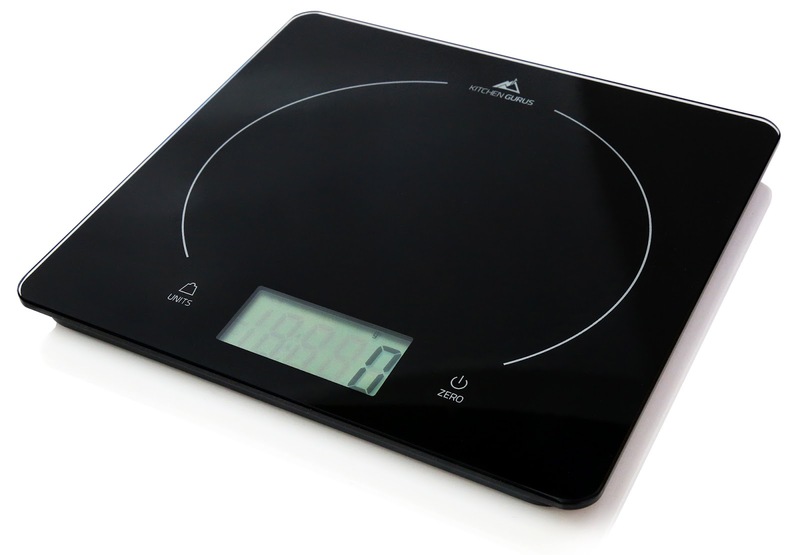 I was very pleased with The Kitchen Gurus Glass Top Digital Food Scale and would definitely recommend it to anyone. 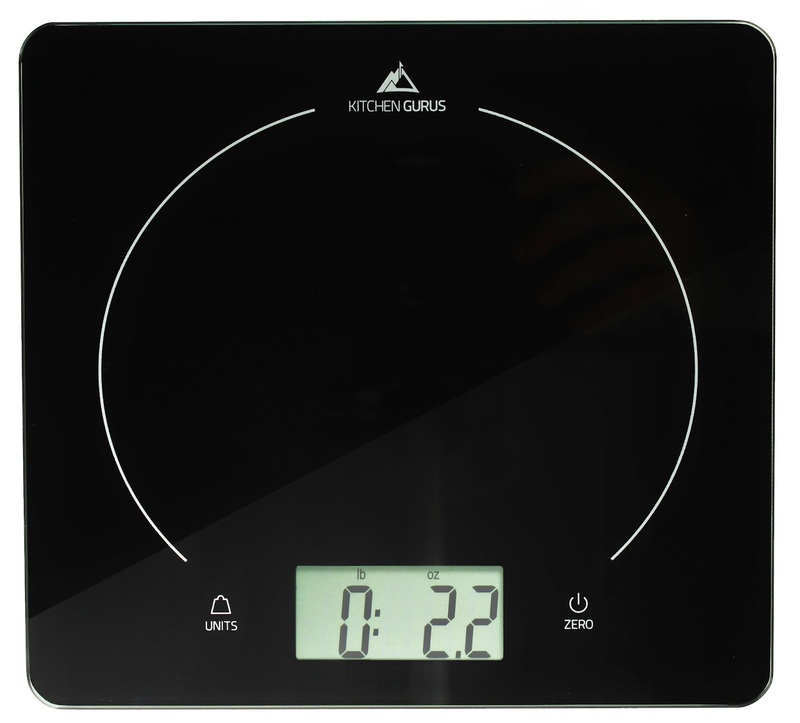 You can purchase the Kitchen Gurus Glass Top Digital Food Scale - Ultra Slim Design and Easy to Clean Surface right now, on Amazon.